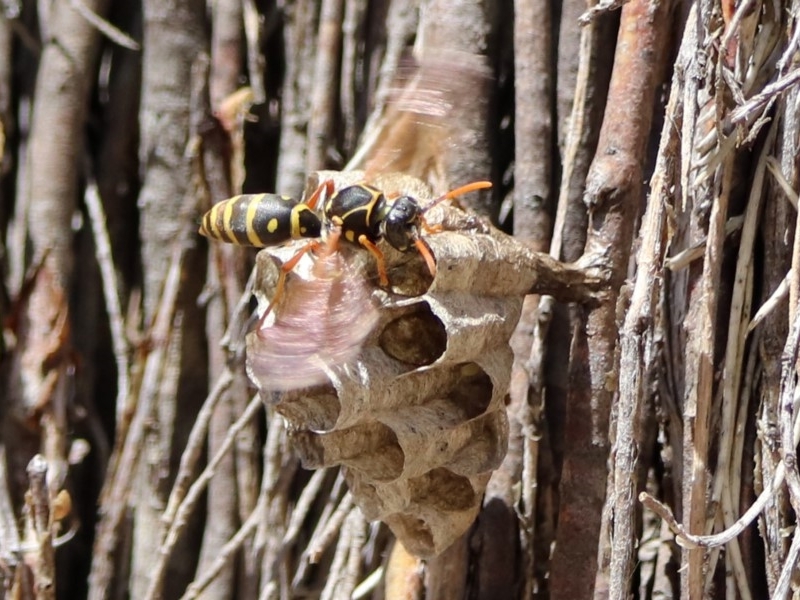 The Asian Paper Wasp (Polistes chinensis) is an introduced species which has recently arrived in the Bega Valley. 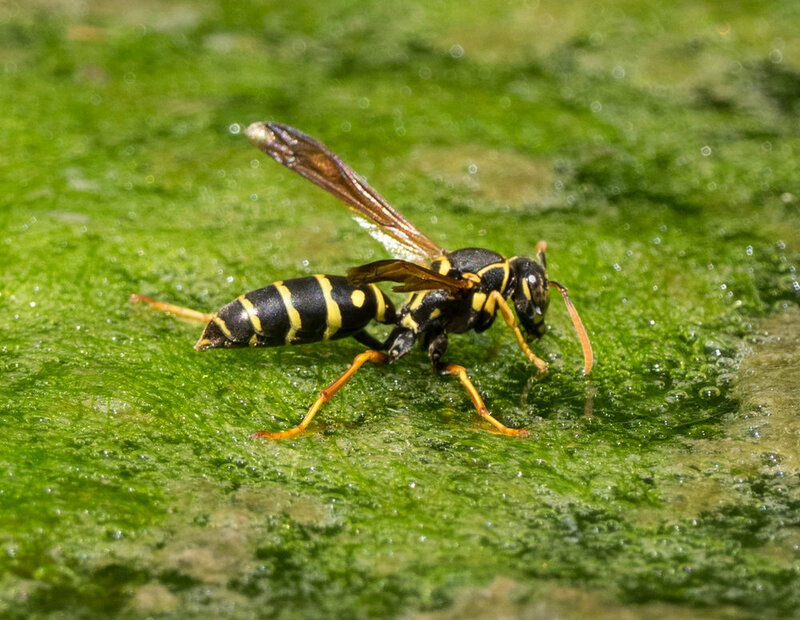 This is an invasive pest, and we have a chance to eradicate them if we can act now. In order to develop an action plan, the Council and other land management groups first need to know how far the species has spread. 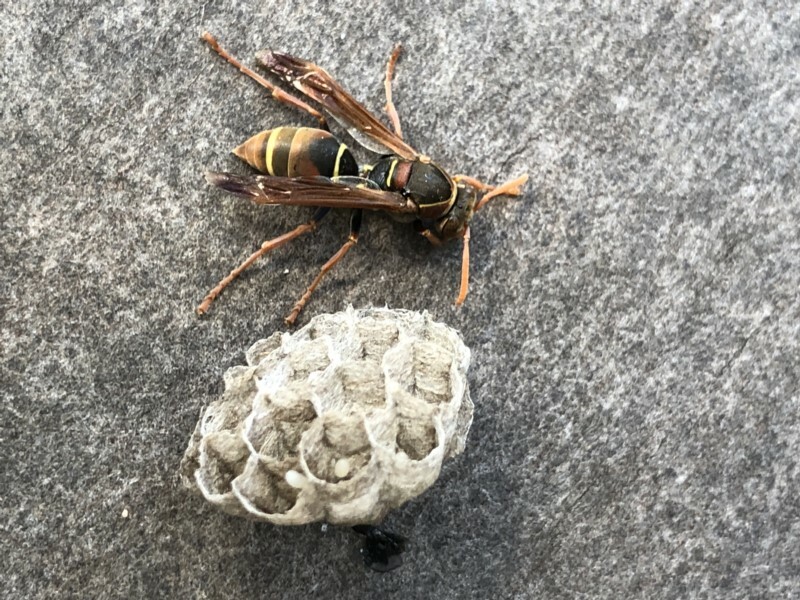 The Asian Paper Wasp (Polistes chinensis) looks rather like our local, native paper wasps … but they can be identified by the distinct pattern of stripes and spots. They are well established in Canberra, but seem to have only recently arrived here in the Bega Valley. 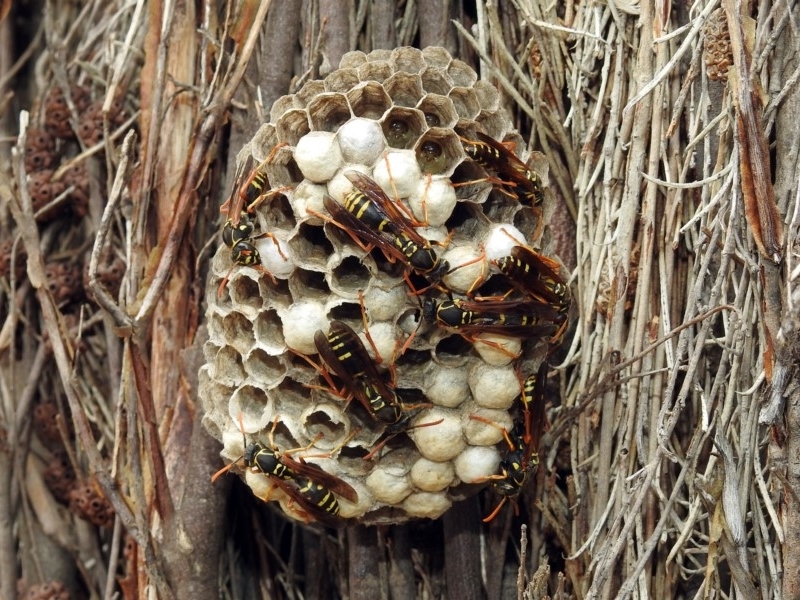 Be aware that we have a local, native species of paper wasp (Polistes humilis) which is related to the pest species. This native species is common, and looks quite similar to the introduced pest. 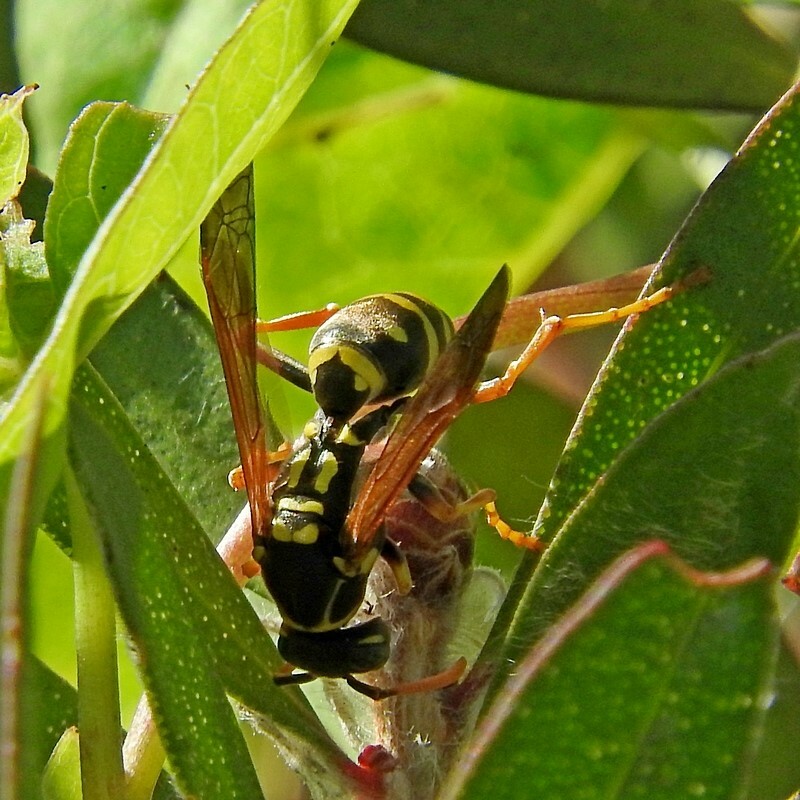 Note that the local species (P. humilis) does not have the obvious yellow spots of the pest species (P. chinensis). 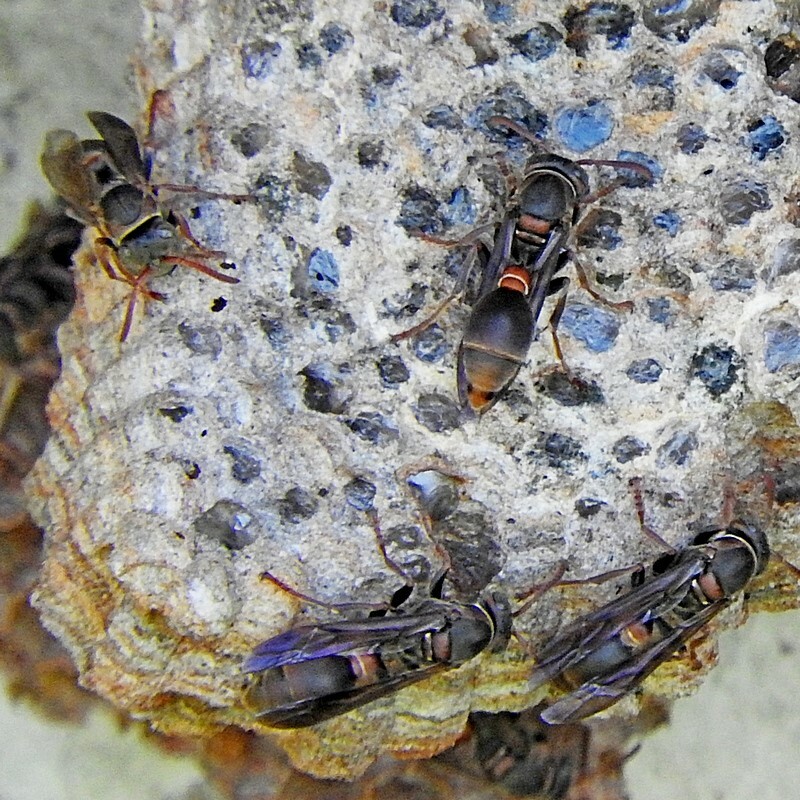 Another local, native species is the Small Brown Paper Wasp (Ropalidia plebeiana). 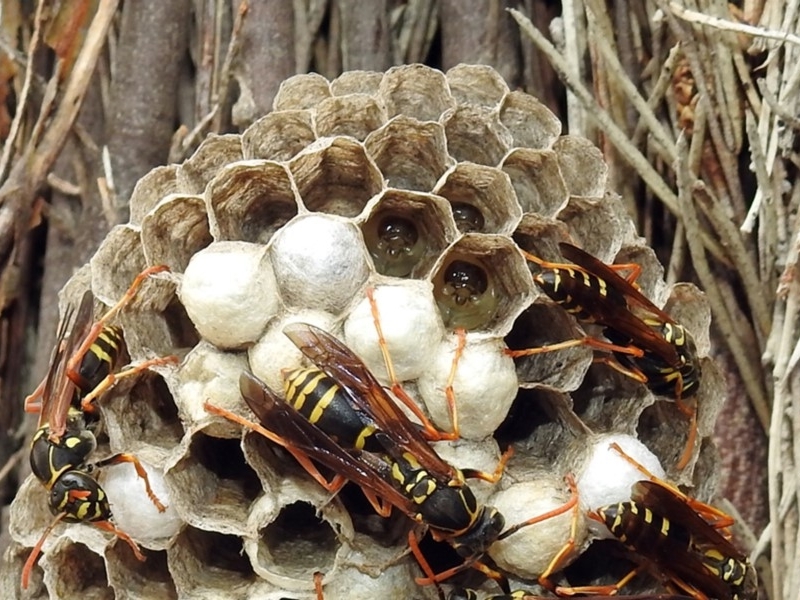 These insects are smaller, but their colonial nests can be huge. 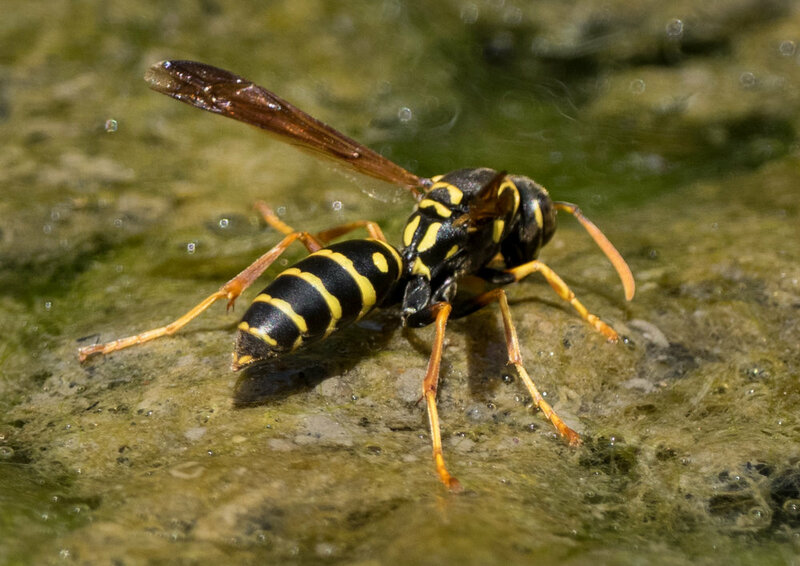 Please report any sightings of the Asian Paper Wasp, Polistes chinensis. The best way is to add your sightings directly to NatureMapr. 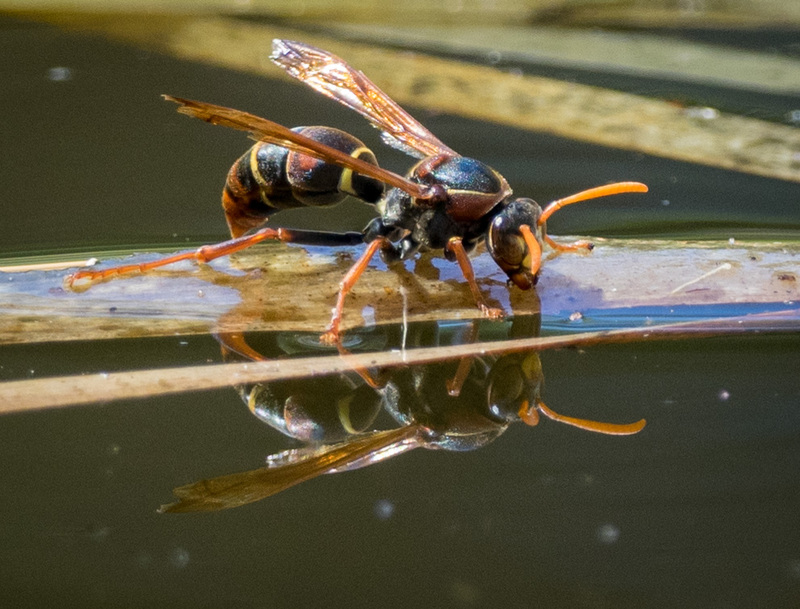 If you’re not sure of the exact identity of the wasp, that’s fine. 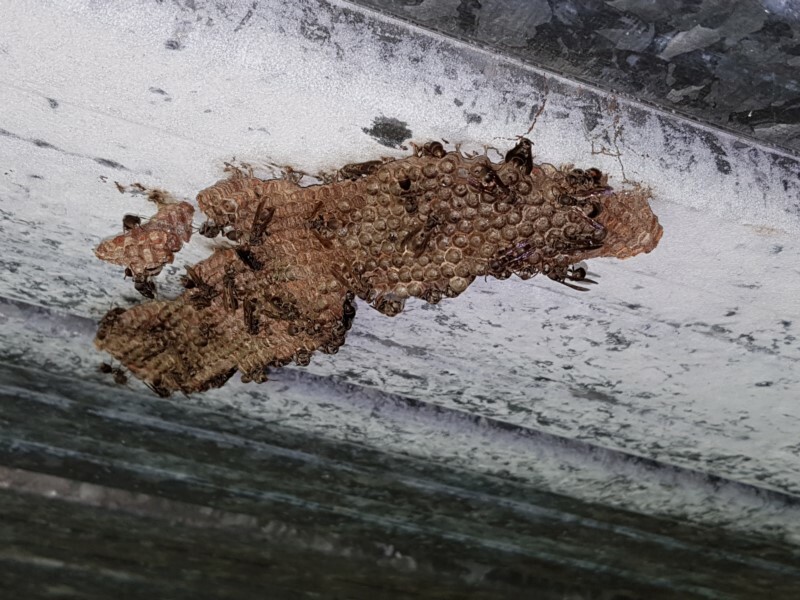 Just take a few photos, add the sighting to NatureMapr, and one of our insect experts can check it for you. (Alternatively, phone Kerri-Lee Harris [0467 966553] or Paul Whitington [0459 315132] with your information). We will provide further information on reporting and control as it becomes available.